Auto-fanatic Mark Evans headed to his workshop once more for this eighth in the ‘Is Born’ British tv series. In this ten part series – first aired on the Discovery Real Time channel in July 2005 – Mark and his side-kick Pete reunite to restore the ultimate English sports car, the MGB, as An MG Is Born. Celebrating its 50th year in 2012, the MGB was first unveiled at the 1962 London Motor Show. The MGB fast became an automotive icon, proving that a sports car could be both economical and fun and it remains the most successful sports car MG ever made. It ran ten years over the normal production lifespan for a car, notching up 18 years continuous production and totaling over half a million cars. It became a classic in its own right, also becoming the most popular British car ever to be sold in America. The MGB is an ideal car for restorers because almost every spare part is still available including complete, brand-new body shells. Mark chose a 1973 MGB Roadster to be the star of this series – one of the last of the chrome bumper models manufactured. Across ten episodes Mark completely stripped and repaired or replaced every single component on the car. He fully restored and up-rated the original B Series 1800cc engine, cut out and replaced the sills, the boot, the floor, all four wings and both doors, finally he painted the car in ‘James Bond Silver’ and refurbished the interior in sumptuous red leather. The world’s largest one-make car club – the MG Owners Club, based in the UK, is testament to the popularity of the MGB. With inserts from MG club events and classic car track days this series will appeal not only to classic-car fans but to the hundreds and thousands of men and women who own these classic British sports cars. 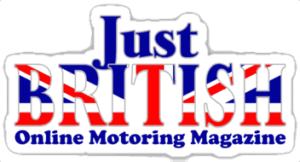 The series also includes visits to the British Motor Heritage factory where parts for MG cars are still made, as well as featuring interviews with MGB owners in the regular ‘Me and My Car’ slot. The series also features a brief history of MG – particularly pertinent considering recent events at Longbridge. Note: The videos below are hosted on YouTube and include as reference only. If you enjoy the show, please support Mark Evans and buy his videos or other works. In the first programme Mark tracks down a suitable car for restoration in an old chicken shed in Surrey. The deal done, it’s back to his workshop to start the strip down. In the second episode of An MG is Born, Mark strips the engine down step by step, starts work on the body-work and takes a trip to the Heritage factory where, 20 years after production stopped, new body shells are still being made. Program 3 sees Mark continuing to restore his 1973 MGB. While the body is away being bead blasted, it’s the turn of the sills and rear axle as Mark replaces the 3-part sill structure, strips and refurbishes the rear axle and dismantles the differential. With the body of Mark’s MGB back from the bead blasters, it’s easy to see how much restoration work is now needed. New wings are fitted and a new steering rack fitted to the body. Mark also visits a specialist engineering company who are refurbishing the over-drive unit to find out just how it works. More metalwork as Mark repairs the shell and fits new panels. It’s a long hard slog. Meanwhile the engine is being overhauled with a rebore. By the end of the programme the engine is rebuilt and the shell has had its first coat of paint. Phew! The MGB rebuild starts in earnest. The rear axle is fitted to the shell withe new parabolic front springs. The front cross member is fitted and the car is finally back on its wheels. The engine, gearbox and overdrive units are fitted. Mark fits a new heater, but it’s not without its problems. The pedal box is fitted and the clutch master cylinder is overhauled. Whilst Pete prepares the wheels for spraying Mark and Les continue to fit the braking system. The handbrake causes a few head scratching moments and Les gets to use the new lathe to skim the brake drums. Finally some paint is applied to the wheels. Mark strips down his seats, door panels and centre console and takes their bare bones to the seat surgeons, Yvonne, Sandra and Ellen for re-covering in luxurious red leather. Mark fits the quarter lights and winding windows to the doors – an easy job turns into a nightmare. It only gets worse when he tries to fit the new windscreen. Then it’s on to the hood frame and the new mohair hood amazingly fitting uses the same principles as a face lift. We find Mark glass bead blasting the engine inlet manifold – gorgeous. He goes on to fit it together with the new custom-made, ceramic coated,stainless steel, tubular exhaust headers. But there’s a problem with the rest of the exhaust. After some head scratching a solution is found. A quick tip on how to make your own gaskets is followed by the complete rebuild of the fuel pump. Mark converts it to electronic operation. Three hours are wasted when Mark accidentally trashes the gleaming radiator that he has just finished refurbishing. But another is substituted and the race is on to get the engine plumbed, fuelled and wired for its first fire up before the end of the show. Mark is behind schedule so it’s a frantic sprint for the finish – he has all the lights and shiny bits to fit as well as the boot, bonnet and badges. Finally the MGB sees the light of day – and it’s a beauty!